These are some of the delicious fabrics I brought home from Austin, Texas this February. 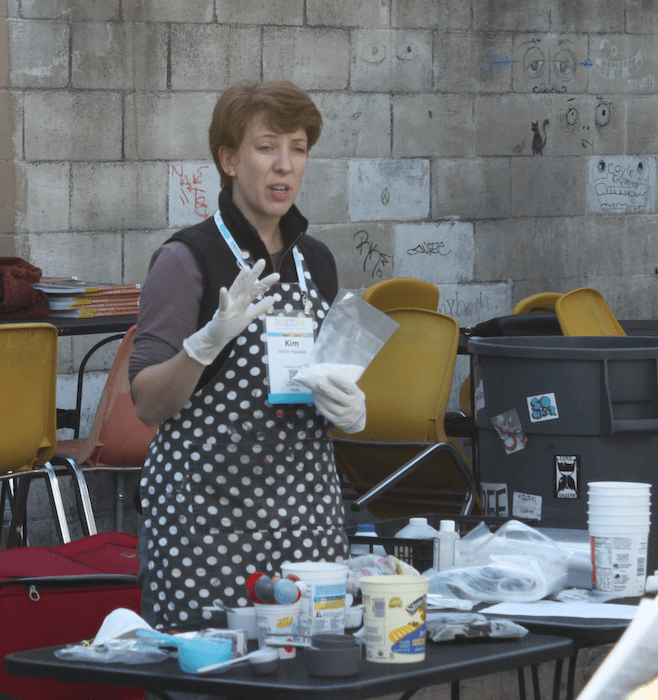 I took two fabric dyeing workshops at QuiltCon with Kim Eichler-Messmer. She is an excellent teacher: knowledgable, approachable and super talented. 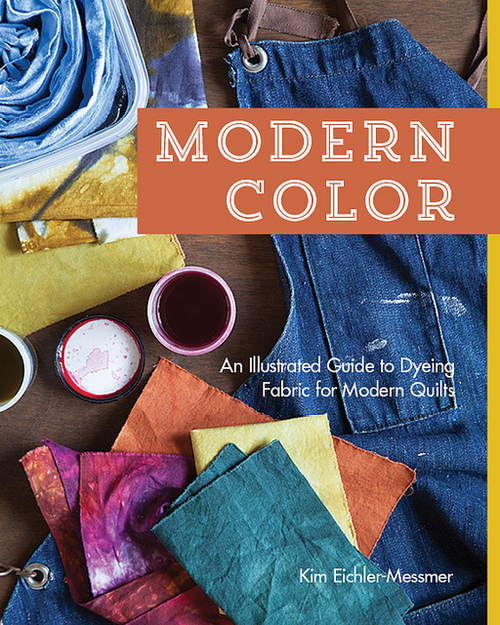 Kim has written a book called Modern Color: An Illustrated Guide to Dyeing Fabric for Modern Quilts. I highly recommend this book for all of you who are interested in dyeing your own cloth. 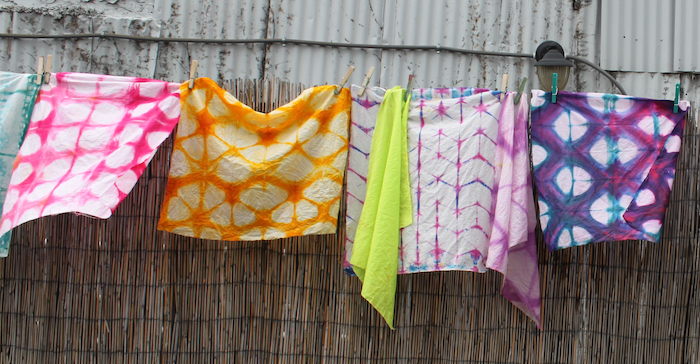 She outlines safety, setting up a dye studio at home, gives comprehensive instructions to create gorgeous fabric from just six basic colours and then shows you how to use the colourful fabric you’ve just created. 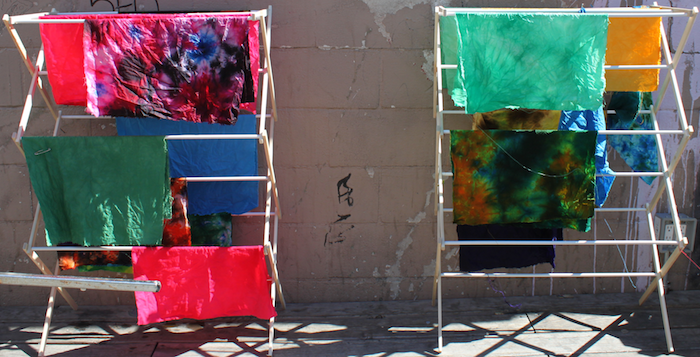 The first day was an introduction to dyeing and it was comprehensive. 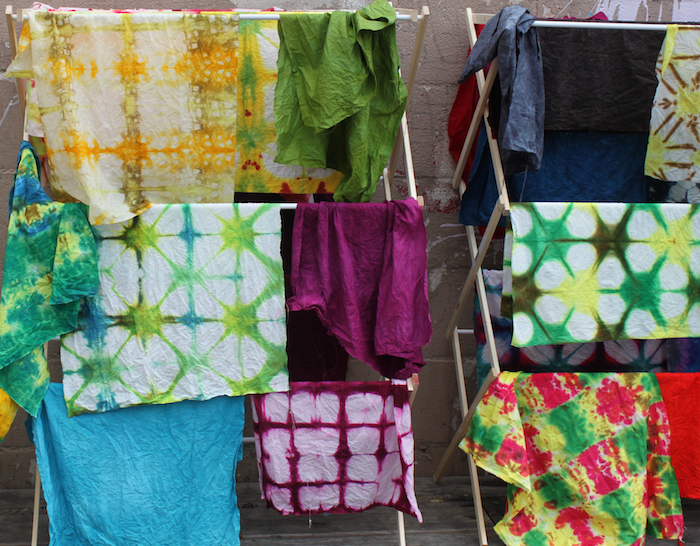 Below are some of the fabrics the class produced. 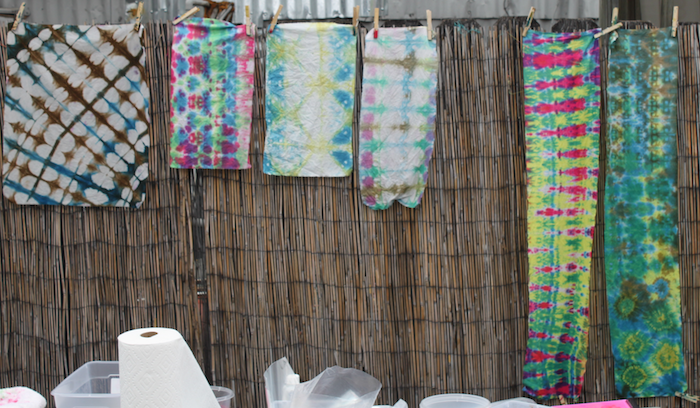 The second workshop we learned to create Shibori style hand dyed fabrics. These required folding, clamping between two pieces of plastic and adding the dye in small amounts. The parts of the fabric that were tightly in between the plastic resisted the dye and left the fabric in its original colour. There are an infinite combination of designs that can made with this technique. Not all of these gorgeous fabrics were mine, although I wish they were! 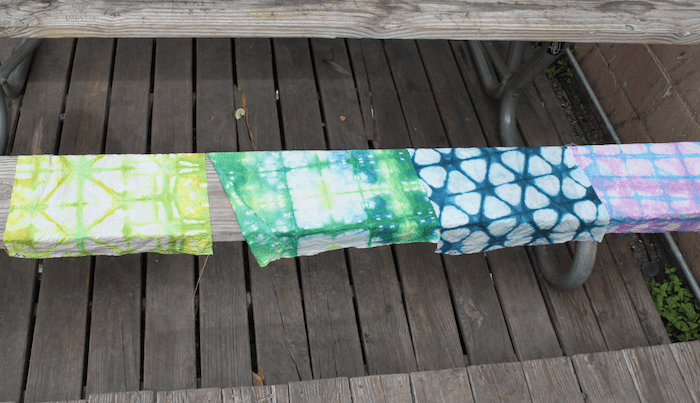 I am looking forward to warmer weather here so I can get outside and dye some more fabric. Now I need to actually use up these beautiful fabrics!